MEWShop's blog for everything editing and the world of production. ICA DaVinci Resolve Workshops Return to MEWShop! 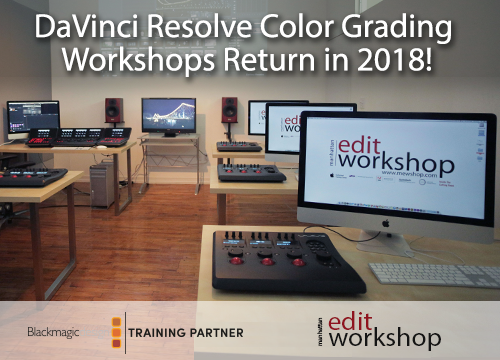 Manhattan Edit Workhsop has just announced new dates for our DaVinci Resolve workshops, which will be taught by Warren Eagles, professional color grader and co-founder of the International Colorist Academy (ICA). Touted as the color grading system of choice for many of Hollywood’s blockbuster production studios, DaVinci Resolve 14 was announced at NAB this year to much excitement over its expanded set of editing features among many other upgrades. This two-day class is designed around a small conformed sequence that you can take away. We will work through the project from start to finish not only looking at Resolve, but also using general colorist strategies. You will be able to keep the project and stills, a great way to continue your learning. Conform the ProRes in Resolve using the XML, it’s not correct what can we do? “Conform v Bake”, what are the pros and cons of each workflow? Where do we start the grade? Plugin FXs, is this for the Colorist? External mattes, how do they help us? More Posting of Edit Fest NY 2009! Julina Tatlock talks about the Conan 360 Experience Featuring the Cast of "Suicide Squad"
In the spirit of Halloween here are some videos from our vault of Editors working on scary movies, television and online haunted hotels! 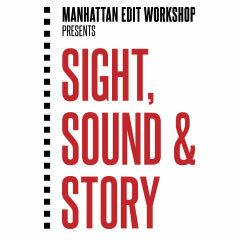 New Class Series with Film Historian and Author Bobbie O’Steen Debuts January 7th! VIDEO: Editor Kelley Dixon, ACE on Creative Freedom in Hit TV Series "Breaking Bad"
indieWIRE - filmmakers. biz. fans.